In a previous letter, we discussed why the crypto fundraising trend is turning from utility to security tokens and what one should consider when doing a security token offering. Within the broad category of security token offerings (STOs), is a section we refer to as a fund. Funds pool and aggregate money in order to invest money on behalf of others, hoping to get a return. There are different types of funds – such as venture capital or private equity (investing in other companies stock) and others that are acting as a kind of index fund -with virtual currencies forming the majority of the holding. Also there are stable coins which are backed by fiat and buoyant coins which are designed to rise in value and not be tethered like a stable coin. However, one thing that makes all of these investment funds similar to each other but different from traditional funds – is that they are issuing digital tokens on the blockchain that represent interests in the fund – a practice commonly called a tokenized fund. 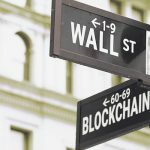 Tokenized funds and security tokens are set to transform traditional venture capital and private equity markets, which are currently illiquid – generally, investors have locked up their investment for several years as the fund cannot liquidate its stake in a given company until a liquidity event happens, such as via IPO. The advent of a security token and tokenized fund market will allow for liquidity which may lower entry and exit barriers thus attracting new investors and raising new startup capital. Nonetheless, tokenized funds, as other STOs, face some legal and technical challenges, which we discussed in the previous article, as funds have several regulatory requirements and have restrictions and limitations on who they can sell to and under what conditions. Next, we’ll take a look at some of the jurisdictions and some structures you may consider if you are planning to set up a tokenized fund. Note that not only the place where you set up the fund matters, your tokenized fund offering would need to comply with local laws of the jurisdiction where your investors are located. This article is just an overview of some of the key requirements to establish a fund in the covered jurisdictions. It does not intend to be a comprehensive analysis and it does NOT constitute legal advice. One should certainly seek out professional legal advice and various service providers before setting up, selling or soliciting investors for a fund or tokenized fund. Malta is positioning itself as one of the largest blockchain and crypto hubs. 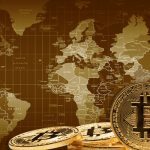 This Mediterranean island is leading the way forward in the crypto regulatory wave – which has made some of the most established players of the space to relocate there. The Malta crypto legal framework will come into force in November, specifically the Malta Digital Innovation Authority Act (MDIA Act),establishes the MDIA as the ‘blockchain’ companies supervisor; the Innovative Technology Arrangements and Services Act (ITASA), which creates guidelines for DLT service providers; and the Virtual Financial Assets Act (VFAA), which creates rules for companies dealing with ‘utility tokens’, such as ICOs, Exchanges, Brokers and Payment services providers. Malta is also one of the go-to jurisdictions for investment funds looking to set up in the EU with one of the most flexible regulations in the Union with a variety of structures and regimes available. In addition, Malta is the first jurisdiction that has adjusted its legal framework for the adjustment of collective investment schemes (CIS) to begin investing in crypto. The authorization and licensing of CIS in Malta has rested with the Malta Financial Services Authority (MFSA), and now it is clear that crypto is one type of asset which is allowed under CIS. This is important not just in malta but globally as many jurisdictions have a CIS type body of law (Hong Kong and Singapore, for starters use similar nomenclature and most common law jurisdictions have similar legal structure with regards to a CIS. Any fund in Malta will need to go through a licensing process, including a preliminary meeting with the MFSA and the issuance and submission to the MFSA of the offering document setting out the nature, structure, objectives, risks and functionaries of the fund. The MFSA will conduct fit and proper checks and approve or reject the application. A tokenized fund in Malta would most likely be set up as a Professional Investor Fund (PIF). PIFs are collective investment schemes regulated under the Investment Services Act, 1994, that target exclusively professional and high-net worth investors. PIFs are subject to less compliance requirements and asset selection restrictions compared to retail funds. PIFs have been usually used for non-traditional investments such as private equity or derivatives – and now, for investments in virtual currencies. The tokenized PIF would most likely be incorporated as an investment company with variable capital (SICAV). SICAV are variable capital investment companies which can issue new shares – also known as an open-ended fund. A tokenized fund could have its voting class of shares owned by the promoters, providing them effective control over the fund akin to general partners, and it would tokenize its non-voting class of shares allowing for waterfall distribution of profits to ‘limited partners’. Any changes to the voting shares rights, redemption, or issuance of additional voting class of shares will require the prior approval of the MFSA. PIFs would be limited to EUR 500 million assets under management, if it is not leveraged and without redemption rights for a period of 5 years, OR, below EUR 100 million on assets under management, regardless of whether the assets have been acquired through leverage. If the fund exceeds this threshold it would also be required to comply with specific provisions of the Alternative Investment Funds regime – which has more stringent requirements. The investment fund may only be marketed to professional investors and each qualifying investor must invest at least EUR 100,000. A qualifying investor is either a legal entity, trust or individual which has net assets in excess of EUR 750,000 or which is part of a group which has net assets in excess of EUR 750,000 or, or a senior employee/director of a service provider to the PIF. The tokenized fund can be self-managed – managed by its own board of directors – or externally managed. Self-managed funds must have a minimum initial paid-up capital of EUR 125,000. This does not apply for externally managed funds. A written consent from the MFSA is required before the appointment or replacement of a director. They will assess the expertise and experience of the prospective director. If the fund is externally managed, the manager may be established in Malta or outside Malta. 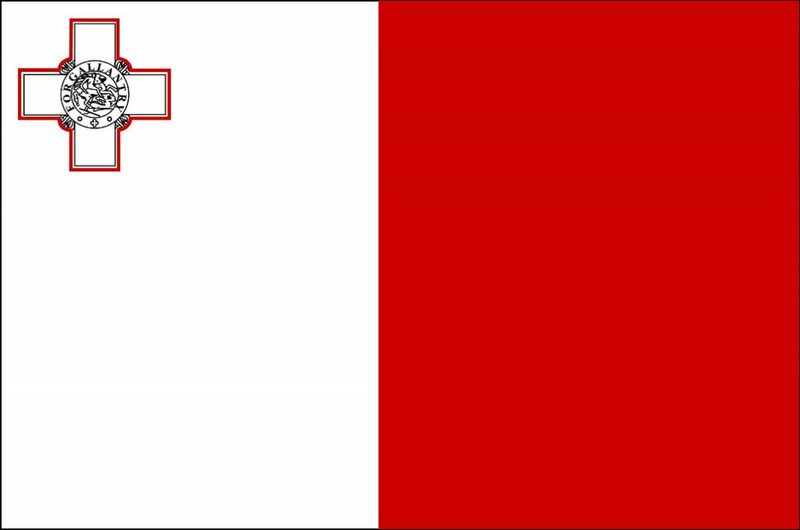 If a Maltese manager is appointed, it should hold a Category 2 Investment Services Licence and authorized by the MFSA. If the manager is incorporated outside Malta – it will need to go through a fit and proper test by the MFSA to be authorized to manage the fund. PIFs are not required to appoint a custodian, however, if that’s the case, the safekeeping arrangements must be satisfactory to the MFSA. Crucially, both the administrator and the custodian may be based outside Malta – and the custodian does not necessarily have to be a bank. This is important as there are a administrators and custodians who are comfortable in crypto, but this is not mainstream and it may be hard to find one based specifically in Malta. PIF are subject to anti-money laundering regulations and would need to appoint a compliance officer (AMLCO) and a money laundering reporting officers (MLRO) that monitors the AML procedures, carries out inspections, and reports to the Board of the fund. Note that PIFs are not passportable across the EU to market their fund interests. Each PIF must comply with the national private placement legal framework of the country that it intends to distribute tokens to. A tokenized fund investing directly or indirectly in crypto would likely qualify as non-prescribed fund, and, therefore, it may be exempt from income and capital gains taxes. Cayman is the number one jurisdiction with regard to offshore funds. A variety of fund structures and a light-touch regulation have led to more than two thirds of offshore funds worldwide to be domiciled in Cayman. Cayman has also attracted a significant number of crypto business, especially ICOs and cryptocurrency funds due to the generally laissez faire approach that the regulator has taken towards the crypto industry together with the tax-neutral status that the jurisdiction enjoys. Cayman Investment funds are regulated by the Cayman Islands Monetary Authority (CIMA) under the Mutual Funds Law (2012 Revision). A tokenized fund in Cayman would be structured either as a Registered Fund or as an Administered fund and incorporated as an Exempted company limited by shares tokenizing its non-voting class of shares. Most funds in Cayman are set up as Registered Funds. Registered funds are a class of open-ended funds that are regulated but do not need a license. The fund will need to go through a registration process with the CIMA including the submission of the fund offering memorandum. In a registered fund, the minimum amount invested per investor must be at least USD 100,000. Unlike Malta, under Cayman law there are no qualifying investor requirements and no assets under management threshold but local requirements where the fund interests are marketed and sold may apply. Registered funds have minimal structuring and governance requirements and are not required to appoint an administrator and custodian in Cayman. The fund manager can be either in Cayman or outside Cayman. Cayman registered funds’ managers are eligible for an exemption from licensing as investment managers. There are also no requirements for overseas manager to be authorised by CIMA. A tokenized fund may be also set up as an Administered fund. Administered funds are regulated but are also not required to obtain a license. Administered funds must have its principal office in the Cayman Islands and appoint a Cayman licensed mutual fund administrator. Unlike Registered funds, Administered funds do not face any restriction in terms of the amount invested per investor – which would make it more suitable for funds that are planning to scale and solicit to retail investors at some point. All registered and administered funds must comply with anti-money laundering regulations and appoint a AMCO and MLRO, and a FATCA and CRS reporting officer. They are also required to be audited by an independent auditor approved by CIMA and located in the Cayman Islands. Bermuda is also leading the crypto regulatory wave, with two pieces of legislation that came into force these last months: the Companies and Limited Liability Company (Initial Coin Offering) Act 2018 (the “ICO Act”) and the Digital Asset Business Act (DABA). The first one has created a legal framework for ICOs and the second for other cryptocurrency businesses such as Exchanges and Brokers, among others. Although not as prolific as the Cayman Islands in terms of investment funds – its fast-growing fund industry, flexible legal framework, tax-neutral status, reputation, and its ‘crypto-friendly’ regulatory approach by the Bermuda Monetary Authority (BMA), makes it a location to consider when launching a tokenized fund. The BMA is the regulatory body responsible for regulated investment funds which fall under the Investment Fund Act, 2016. A tokenized fund may be set up as an Exempted Fund Class A or Class B and may be incorporated as a Bermuda Exempted Company limited by shares. Exempted funds need to apply for an exemption to the BMA and are subject to minimal reporting requirements. 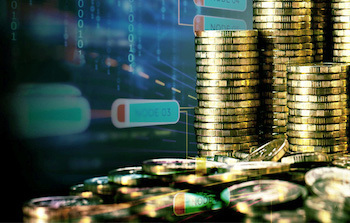 The main difference between Class A and Class B funds is that Class A funds need to have a fund manager licensed by the BMA under the Investment Business Act or licensed by a foreign regulator recognized by the BMA (such as CIMA) or have assets under management of more than USD 100 million. Class B funds are required to appoint an investment manager but the manager does not need to be regulated. Both Class A and Class B have to appoint service providers as auditor, custodian and fund administrator and a Bermudian officer, trustee or representative. Exempted funds can only be marketed to qualified investors. Tokenized fund interest can only be offered to high income private investors with personal income in excess of USD 200,000 in each of the two years preceding the current year; or high net worth private investors who have a net worth in excess of USD 1 million; or corporations with total assets of at least USD 5 million. The registration of a Class A Fund can be made within 1 business day by filing a self-certification form together with a copy of the investment fund’s offering memorandum and other required documentation. Class B funds are required to apply for an exemption to the BMA which will grant the Class B Fund status or require additional information within 10 business days. Depending on how the sale is carried out, the fund might need to apply for permission under the ICO Act to the BMA. The British Virgin Islands is the other British Overseas Territory attracting offshore funds. Funds in BVI are regulated by the Financial Services Commission under the Security and Investment Business Act, 2010 (SIBA). A tokenized fund could be set up in the BVI as a Business Company limited by shares and apply for a recognition as a professional fund. BVI professional funds can only invite professional investors to subscribe for shares with a minimum investment of USD 100,000, except for fund managers, promoters or any employee of the fund. Professional investors (as defined in BVI) are those who have a net worth in excess of USD 1,000,000. A tokenized fund can also be set up as a private fund which does not face any minimum investment requirement per investor. However, private funds are restricted to 50 investors or offered on a strictly private basis. This includes invitations to specified persons and/or invitations that become available to other persons where there is a business connection between the person making the invitation and the investor. However, if there is a large number of investors (e.g. more than 300) it may not be consistent with the private nature of the fund from a compliance standpoint. Both Private and Professional funds need to file an Offering Memorandum together with a business plan to the Financial Services Commission (FSC) for approval. There are no limits on the net value of assets managed. They must appoint at least two directors (one of which must be an individual), fund manager, administrator, custodian, auditor and authorised representative. There are no regulatory requirements to appoint local directors, local functionaries or local auditors. Alternatively, the tokenized fund could be set up an ‘Incubator’ fund. Incubator Funds are the easiest and fastest to establish. They are restricted to professional investors and the minimum amount per investor must be at least USD 20,000. The fund’s net assets cannot exceed USD 20 million. Incubator funds can be self-managed (no external fund manager, custodian or administrator required) and its lifetime is limited to two years, with the possibility to extend for a further year – at that point the fund will need to become a professional fund. Although Singapore is a leading Asian fund management hub, more than three quarters of the funds managed from Singapore are domiciled elsewhere, namely the Cayman Islands – due to the lack of flexibility and corporate structures suitable for funds. However, as you may soon see – this is set to change. Usually funds domiciled in Singapore are structured as Unit Trusts as Singapore companies can make distributions from their profits only and not from the capital – which impedes a fund redemption from net asset value of the shares. However, unit trusts are not separate legal entities and do not have a separate legal personality. This can create a ‘cross contamination issue’ and is not suitable for high risk activities. They are set up by a trust instrument which is usually made between a manager and a trustee and face some limitations and drawbacks such as added cost to the structure. In the past we would not have recommended Singapore as a jurisdiction to domicile a fund. However, we have included Singapore in this article due to a new framework for funds passed into law by the Parliament on 1st October that is expected to come into force next year – the Variable Capital Companies Act (VCCA). The VCCA creates a new corporate structure, the Variable Capital Company (VCC) suited for investment funds. The Variable Capital Company will be allowed to have their shares issued and redeemed without requiring shareholders approval and pay dividends using its capital. It can be set up as an umbrella with multiple sub funds or as a standalone structure and will have more flexibility in choice of the accounting standards used to prepare financial statements. The VCC will be required to have a licensed fund manager under the Securities and Futures Act (SFA) and appoint a custodian if the fund is offered to to certain investors, such as retail investors. The VCCA will also provide a re-domiciliation mechanism for existing foreign investment funds constituted as corporate structures similar to VCCs to relocate to Singapore. The introduction of the Variable Capital Company, together with the laissez-faire approach that Singapore has taken in regards to crypto may make Singapore a place to consider when setting up a tokenized fund. As with ‘traditional’ funds, the Cayman Islands is definitely one of the most attractive jurisdictions for setting up a tokenized fund – a collective investment scheme that issues fund interests in the form of digital tokens and raises capital selling them. Cayman provides perhaps a more flexible regulatory regime and fund structuring requirements than other jurisdictions, but Malta, Bermuda and the BVI, and soon Singapore may also suit the requirements of fund entrepreneurs. Other jurisdictions not considered in this article may also be interesting – Seychelles, Ireland, Luxembourg, Liechtenstein or Labuan, among others. However, when setting up a tokenized fund – you have to not only consider laws and regulations of the country where your fund is domiciled – also those from the country where your investors are located and even where your employees are. If you want to sell a tokenized fund in a given country, even private placements offered to professional investors may be subject to filing an offering memorandum and other requirements to obtain the permission to do so. You may also be obliged to engage with local brokers and other securities dealers. You must seek the appropriate legal advice in each of these countries to make sure your fund is compliant. What’s clear is that you must place restrictions on who can or cannot buy your fund tokens. You should have these restrictions built-in into the smart contract so that token buyers will be able to acquire tokens only if they fit the requirements sale and in a way that allows the tokenized fund to track the tokens and its owners as they change hands. Contact us for further information, it will be a pleasure to assist you.